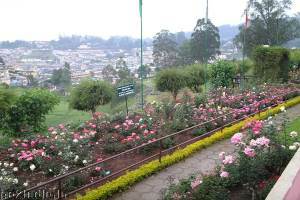 Centenary Rose park is located at Vijayanagaram � Udhgamandalam ( Ooty ) and is maintained by department of Horticulture of Government of Tamil Nadu. This garden has largest collection of roses among any Indian garden. This garden is located at an elevation of 2200-2400 from Mean sea Level. Average rain fall is 125 cm here. 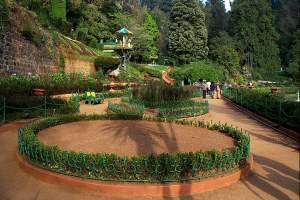 This beautiful rose garden was established in 20th May 1995 to commemorate the centenary of Udhgamandalam ( Ooty ) flower show ( 1896-1895 ). This garden is consist of five terraces in an area of 4.0 Hq and has more than 2800 variety of roses. 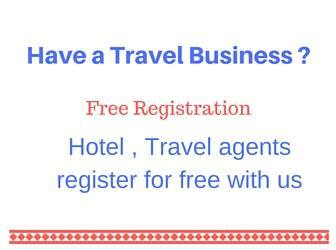 You have to pay entry fee and extra for still camera. It is Rs 25 for still camera. One has to pay Rs 500 extra to take video camera inside this rose garden. Take your camera and take as many photos as possible with different variety of roses. There are large and different color flowers available inside the garden. Go for a walk along the side of the different terraces. Carry an umbrella for occasional rains. There are beautiful spots created for taking photos with flowers arches around. 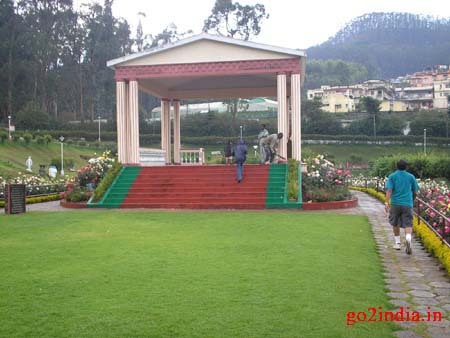 ooty is very very good place and very good enjoyable place i love ooty very much i am going every month once. keep the gardern very close to bus stand,becoz it is very helpful to thos who visit thru walk. I saw that in summer holydays. so send photes to my mail. 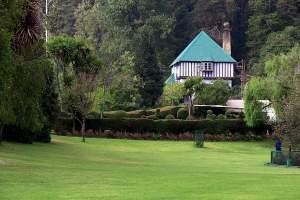 Chae i really miss ooty.such a chill chill cool cool place for to enjoy esp for couples. 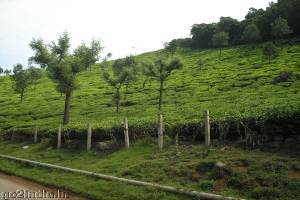 Ooty! 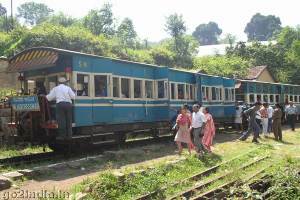 what a place in India.I think Kasmeer on Tamil Nadu.....Ooty Train is 8 World Recards. 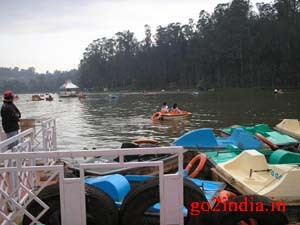 ooty is 8 world wonder...ooty train is very very ammazing in this world....I sooooooooooooooooo very Like ..
it is awesome.it is my first tourist place to visit with my family.